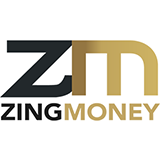 If you’re new to Zing Money, download the mobile app, sign up for an account, and link your card. Tap Link a Credit or Debit Card. Tap Link My Eligible Cards.